Are We Conditioning Our Air or Ourselves? People in the US are becoming more and more aware of how we use energy and how these patterns of consumption affect the environment. Energy-efficient lightbulbs, hybrid vehicles, and reusable coffee cups have flooded the market. But there is one often-overlooked energy guzzler that is nearly ubiquitous in every home, office space, store, restaurant, and public facility we enter: air conditioning. It feels like we need it. So, how did we survive so long without it? 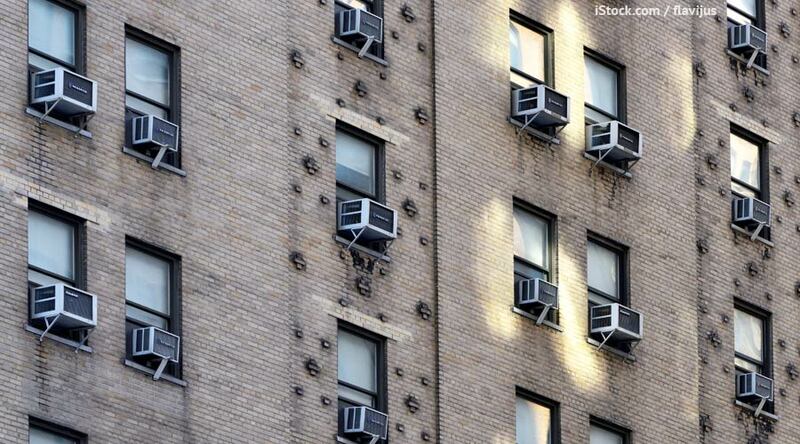 In 1960, only 12 percent of homes had air conditioners. It wasn’t long before then that the vast majority of public places didn’t have air conditioners either. Yet, even in warmer climates, life didn’t come to a standstill. That is largely because homes and buildings were designed to make high temperatures more bearable. For example, porches, high ceilings, and other natural cooling techniques were used to create living spaces that were habitable even when temperatures started to rise. But soon enough, these techniques were deemed superfluous. Modern air conditioning was invented in 1902 by Willis Carrier, initially as a means to control humidity in a Brooklyn printing plant. By the 1920s, there was a mass migration to the southern US, made possible by, yes, air conditioning. Areas of the country that had previously been miserable in the summer—like Arizona and Florida—were now considered pleasant. Many southern urban centers like Phoenix, Atlanta, and Miami would probably not exist as they do today if it weren’t for the widespread use of air conditioning. The South was not the only region to be affected by these changes. Soon, areas all over the US, especially cities, began to see the advent of air conditioning as an opportunity to explore new patterns of architectural design that maximized rentable space. No longer did architects have to bend to the accepted principles of natural cooling; they could design large, boxy buildings that didn’t offer window access to their interiors. This led not only to artificial cooling in the vast majority of large buildings, but it also resulted in lower-quality workplaces that did not have access to natural light or natural spaces. Like most technological fixes, our now nearly constant use of air conditioning has resulted in a myriad of new problems, the most important of which is the amount of energy we use to cool our homes and businesses. According to the US Department of Energy, air conditioners in the United States now use up 6% of all the electricity produced in the country. That is more energy than the entire continent of Africa uses for all purposes. This is a problem we can no longer continue to ignore. Ironically, the burning of fossil fuels to cool our homes is contributing to global climate change, which will, in turn, create an even stronger demand for air conditioning as time goes on. And as the United States often sets trends for standards of living, other countries, especially India and China, are quickly catching up to our unsustainable levels of consumption. In fact, air conditioning-related power consumption is expected to rise 33-fold by the year 2100. Global warming isn’t the only factor in this equation that should cause concern. We must also realize that this dependence on air conditioning is further disconnecting us from nature, disrupting natural human patterns of behavior, and resulting in our dependence on artificial cooling systems. Are our homes and places of business being conditioned, or are we? The temperature at which you find yourself most comfortable is relative. I moved from the frigid northeast to south Florida as a child, and my family and I arrived at our new home in November. Thrilled to be enjoying weather still well into the 70s, my parents took my brother and I to the pool, only to find out that it was closed for the season. Why? Because the locals are accustomed to high temperatures and felt the mid-70s to be far too cold to swim. Sure enough, by our second year living there, swimming in November seemed laughable. Fulfilling this artificial standard of comfort wastes money and increases the size of our carbon footprint. What’s worse is that people often keep their air conditioning running even when they are away from home, meaning that resources are being wasted for no purpose at all. What are we trading when we prioritize an artificial idea of comfort over community? When we choose to ignore the seasons and keep our thermostats at the same temperature year-round? These are probably not the questions Willis Carrier asked himself when he was inventing air conditioning. But now that we are surrounded by the unintended consequences of his innovation, it’s a question we have to ask ourselves. Since we have been running on a model of air conditioning for so long, many of our buildings are ill-equipped to serve their uses without artificial cooling systems of some sort. 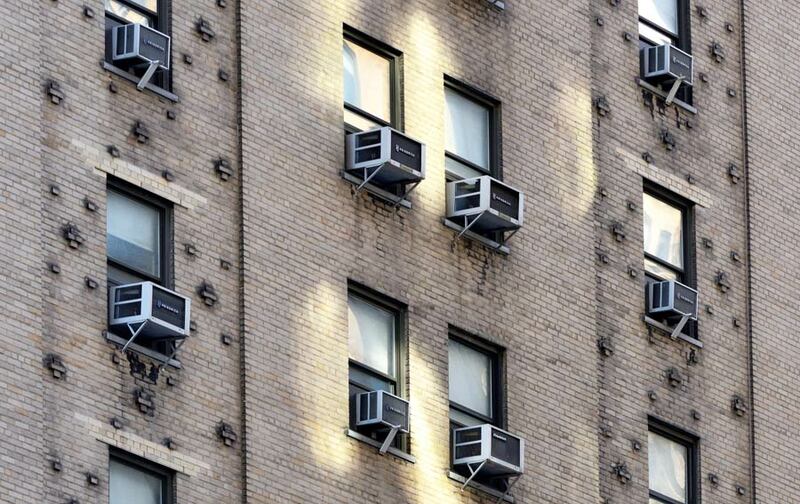 Experts in the field are now phasing out air conditioners that use chlorofluorocarbons, also known as CFCs, which contribute significantly to the depletion of the ozone layer. While CFCs were banned in the 90s, they have not yet been completely phased out. They are being replaced with hydrofluorocarbons, or HFCs, which are safer for the environment. However, it will take quite some time before houses and commercial buildings will stop using CFCs altogether, and we need to make changes now. Those who live in cooler cities or in more rural areas can simply open their windows more and turn off their air conditioners during the warmer months. Acclimatizing to slightly higher temperatures isn’t only possible, it’s likely to be relatively easy, especially for those who are used to wearing sweaters indoors on July days anyway. Sometimes, problems caused by technology don’t always require new technological fixes—they just require the humility to accept that what initially is seen as an improvement may not be an improvement at all.